Hilmir Agustsson is a physical therapist, with a MHSc degree and a DPT degree from the University of St. Augustine, as well as certifications in manual therapy and in craniomandiubular disorders. 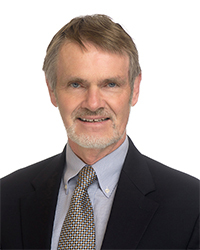 Dr. Agustsson has over 20 years of experience in musculoskeletal therapy and served as physical therapist to several soccer teams as well as to the Icelandic Ballet Company. In 2001 he became the lead course writer for the online program at the University of St. Augustine and served as the Director of Online Education from 2013 to 2017. Dr. Agustsson was active in the Icelandic Physical Therapy Association; served as the president of the association from 1985-1987, chaired its negotiating committee, and contributed to the development and implementation of electronic medical records in physical therapy. His current interests are in online education and imaging for physical therapists.